On the night Hurricane Sandy roared in, as two giant trees sandwiched my house and pierced the garage roof, it felt like the world itself was crashing down. We were seeing before our eyes an undoing of the primordial act of order. In Genesis, a wind brought about a separation of earthly and heavenly waters, and then a separation of water from dry land. But with Sandy, the waters of the deep appeared to be reclaiming that coastline and undoing that initial act of separation. So now, we ask, what can nature do for an encore? Shaken and unhinged, we have precisely a month to prepare for the next apocalyptic event: the Apocalypse itself – that is, if the Mayan calendar is to be believed. According to an ancient Mayan prophecy, the world will come to an end on December 21. On the plus side, we’ll squeeze in all eight days of Chanukah (sorry, no Christmas). On the minus side, the world will cease to exist. I did some exhaustive research on the Mayan Apocalypse – OK, I Googled it – and I discovered something very interesting. The whole thing might just be a misunderstanding of the ancient Mayans’ intent. According to Guatemalan author Carlos Barrios, the famous date of December 21, 2012 marks not the end of time as Hollywood would imagine it, but the beginning of a change in consciousness, when “a new socioeconomic order will arise in harmony with Mother Earth.” There are a number of beliefs in regard to this December; all revolving around the winter solstice coinciding with the Earth’s being located at a point of particular balance, midway through the Milky Way. Other traditions also see this as a time of global spiritual transformation. In India, over 15 million Hindus consider Guru Kalki Bhagavan to be the incarnation of the god Vishnu and believe that 2012 marks the end of the Kali Yuga, or degenerate age. What we have with the Mayans, then, at least in some people’s estimation, are cycles of creation and destruction, but leading not to an ultimate apocalypse, but rather to a time of eternal peace and bliss – a better time, not an end time at all. It all sounds very, well, Jewish. What a great Midrash. It teaches that for the rabbis, not even God could determine in advance whether a given world would work out. There were apocalypses aplenty. But this world has not been destroyed. Why? Because people have demonstrated a capacity to grow and change; there is something in our makeup that keeps pushing us forward. But we can! We can get up. Even if we are physically unable to rise from the floor, there is something pushing us to live on. We’ve got the God particle. And we’ve learned that not only is it in our DNA, it’s in our every atom. There can always be a brighter future. But only if we push that button and get up. When we say Kaddish, we activate that God particle within us. Yitgadal V’Yitkadash Shmay Rabbah. We say it again and again and it lifts us, as we try to reestablish the reign of sanctity and order, to overcome the chaos of death. 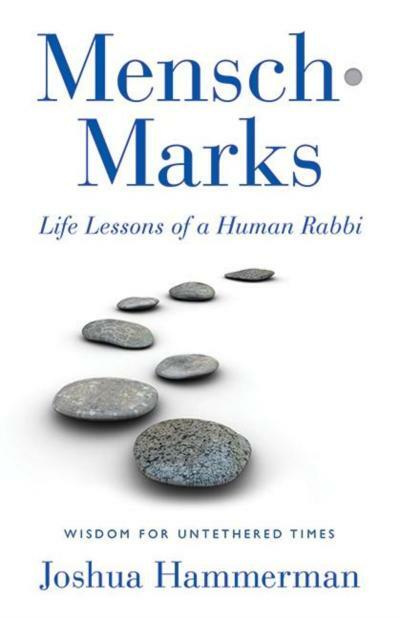 We say it in the Amida – God is what lifts us – Somech noflim – and heals us – rofeh cholim – and releases us - matir asurim. The God particle within us propels us to rise and it propels history to rise as well. There is something magical about the human capacity for goodness and there are signs that it is winning out. Martin Luther King Jr. proclaimed famously that the “the arc of the moral universe is long, but it bends toward justice.” But in Jewish tradition, justice is only half the battle. For Jews, the arc of the moral universe must bend, at least as much, toward love. As we approach the end of 2012, I believe that the arc is bending – slowly but surely – toward love. The conventional wisdom is that religion has radicalized in the post modern world. True, there are those who seek to use religion as a lever to divide us rather than as a banner to unite us. I know that the temptation among many people is to see the damage that has been done in God’s name and to flee all faith. The capacity for kindness is there. We’ve seen it following Sandy. The capacity for inclusiveness is there. The capacity for love is there. It is embedded in every strand of our DNA, in every atom of existence. There is something pushing life forward, beyond the destruction of Sandy and the specter of December 21. It is the God particle, and it is in us all.